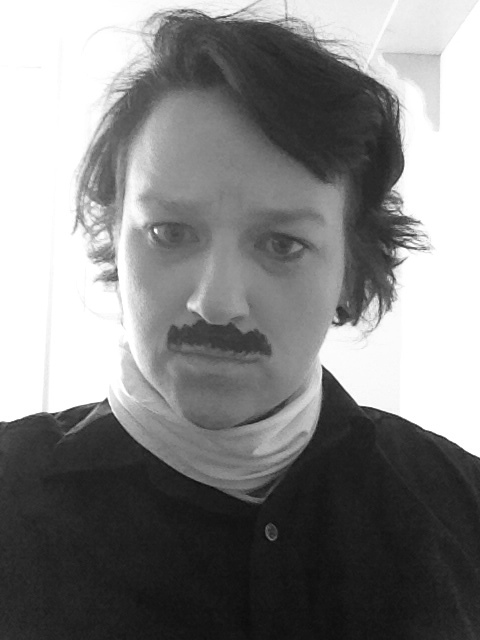 I didn’t want to overwhelm you with my Poe love yesterday, so I am doing this post today. Okay, honestly, I was a little under the weather last night when I got home from work and spent the entire evening on the couch watching an obscene amount of, How I Met Your Mother, but no matter better late than never. 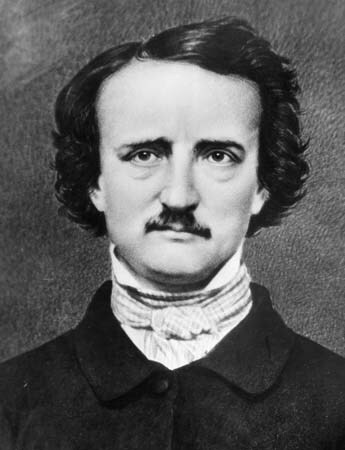 Yesterday marked the 164th anniversary of Edgar Allan Poe’s death and I had the supreme honor of doing a blog at work on ways to celebrate the brilliance that is Poe. Of course I’ve been besotted with EAP since my days of youth, when as a wee lass I went on field trips to see the play, the Tell Tale Heart and every year was transfixed. Then as an adult I became obsessed with doing readings of Poe’s poetry, especially The Raven and I would ask my family if they would like to hear a reading to which they would respond by pretending not to hear, not responding at all, or a simple no thank-you. They don’t get it. So yesterday in my scouring of the internet for all things Poe, I of course came across his picture and it hit me how I, myself could honor Poe in my own way. 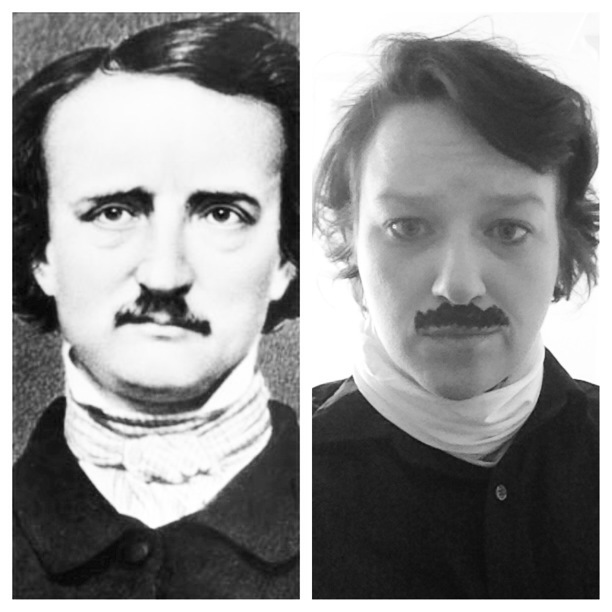 Unbelievably lucky for me, I kind of look like Poe right now and I could dress like him and do my own reading to the world! Okay, to explain. I am growing out my hair which was a pixie cut. If I am not on top of trims to shape my hair as I grow it out (which I have not been due to a lack of fundage. Much like the federal government, my hair is on shutdown until further notice) it looks markedly similar to Billy Ray Cyrus circa 1994, as in mullet-esque. But upon seeing pictures of Poe I realized Cyrus was out. My hair (recently dyed black-ish for a fun fall change) was an identical replica of EAP’s hair! What a happy coincidence! I could make use of my bad hair in honoring my idol (as much as I love beards I will not grow one for Hemingway, I have my boyfriend to do that for me). Aaaaaaand spot on! Nailed it. I love Poe and I don’t care who knows it! P.S. I did not do my hair for the shoot. My routine, you ask? Simple. I took a shower last night, went to bed with wet hair, woke up and ta-da! Pure Poe-look-alike Perfection! Don’t know if you could possibly love him as much as I do unless you are willing to draw on a moustache with eye pencil and wrap one of your silk slips around your neck as a makeshift cravat. In case you aren’t a nerd and didn’t read romance novels all through high school, this is a cravat. Also I could probably now get a job as a Civil War re-enactor. Gosh the possibilities truly are endless. Now go read some Poe-try!